The genre of oversized styles is no longer only a girl thing. After the last session (Men’s A/W 2017) some famous fashion houses like Dsquared2, Rick Owens or Balenciaga showed us that oversized clothing has become a regular feature in the men’s fashion world. You can nearly find everything oversized. The variety goes from extra-large hoodies with oversized sleeves to just basic long autumn-coats. The bigger and longer it gets the more attention comes with it. But are there some rules to consider in the way how to choose the right size of an oversized clothing like a coat? I often felt irritated by those big fashion items. Somehow, I could never feel right, either the coat was too large and I imaged myself in a tent, or the coat fitted that well that I thought that I didn’t really wear an oversized piece. Now I figured out what the clue is. The only thing which is important is the shoulder part. You can wear any coat no matter how big it is, but it has to fit your shoulders. If the diagonal from shoulder to shoulder is too long you may should buy another one because then it isn’t oversized - it is just too big for you. That is in my opinion the only principle. Puffy sleeves, dazzling colors or an extreme coat length which is hiding your shoes - try whatever you want. I decided to take a not too oversized coat with some basic pieces like black jeans and a pastel t-shirt because I really like to make a focus on my oversized piece. 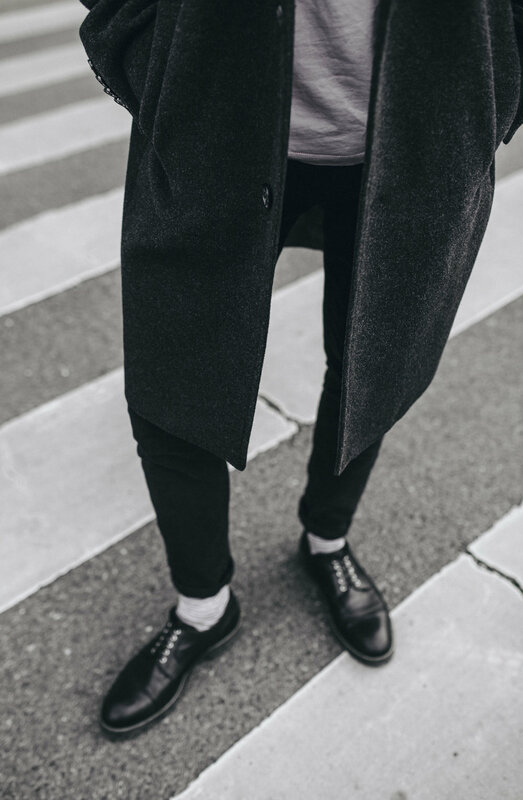 Accessories like a hat and some cool leather shoes emphasize in my opinion the outfit even more without taking the focus away from the coat.